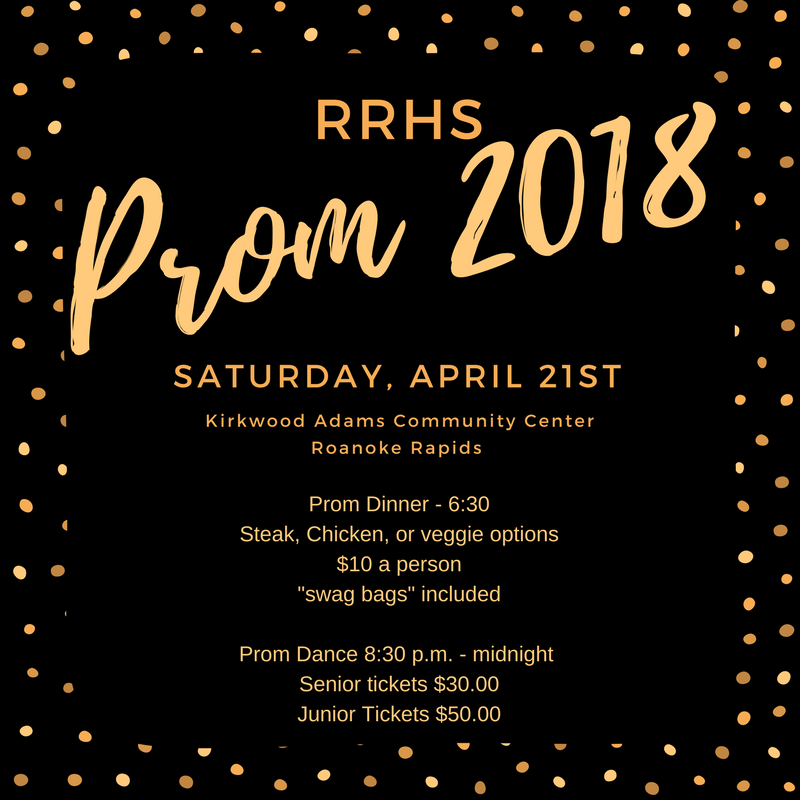 Prom will be April 21, 2018 at the Kirkwood Adams Center with doors opening at 8:30. The theme will be... a surprise! We will also be offering a full catered meal at 6:00 pm prior to prom. Your meal will be deliciously prepared by local caterers with your choice of steak, chicken, or a vegetarian option, served with potatoes, vegetables, rolls, salad, and dessert. With the purchase of your dinner ticket, you will also receive a one-of-a-kind Swag Bag filled with Prom 2018 goodies, as well as a personal photo shoot with local photographer, Jennifer Wrenn (Works of Tart Photography). You will have a printed out portrait of you, your date, or your friends before you leave the dance floor that night. The dinner, the swag bag, and the photo will only cost you $10! On February 21 during both POWER Blocks, Mrs. May (213c) and Mrs. Sass (202) will sell dinner tickets. Only 50 tickets will be sold. For everyone that buys a dinner ticket that day will be entered to win a FREE prom ticket (up to a $50 value). You will be notified by Friday if you win! Two FREE prom tickets will be given away. On February 28, during both POWER blocks, prom tickets will be sold at a REDUCED price. This is the ONLY time where you can purchase tickets at a lower price. Guest forms can be picked up at this time. For ANYONE that is not a student at RRHS OR for a 9th and 10th grader at RRHS a guest form is REQUIRED. Your guest will not be permitted to the dance without it.